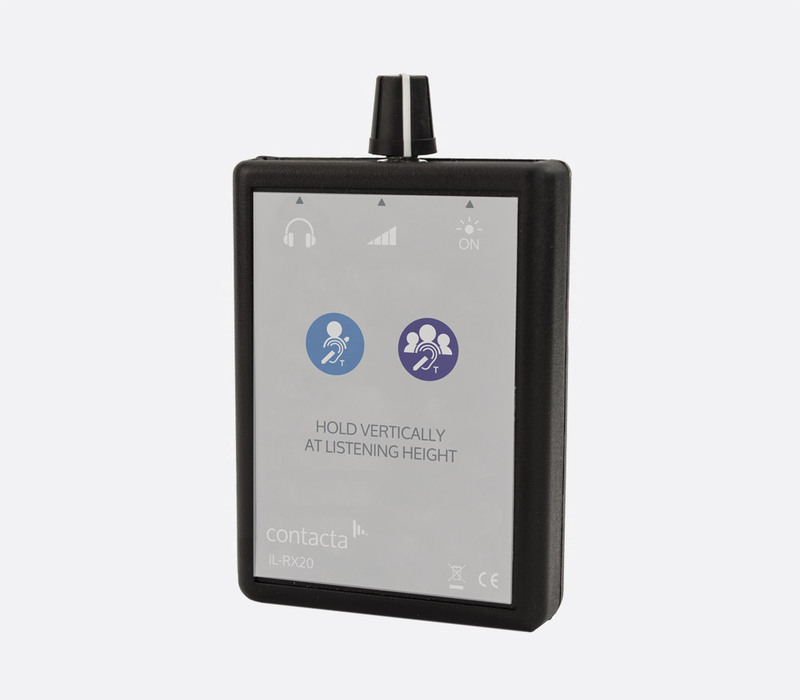 The HLD series hearing loop amplifiers enhance accessibility to music and speech in larger areas than can be covered with one-to-one or portable loop systems. This stand-alone, dual output hearing loop driver can provide up to 3A RMS, 7V RMS per output channel. 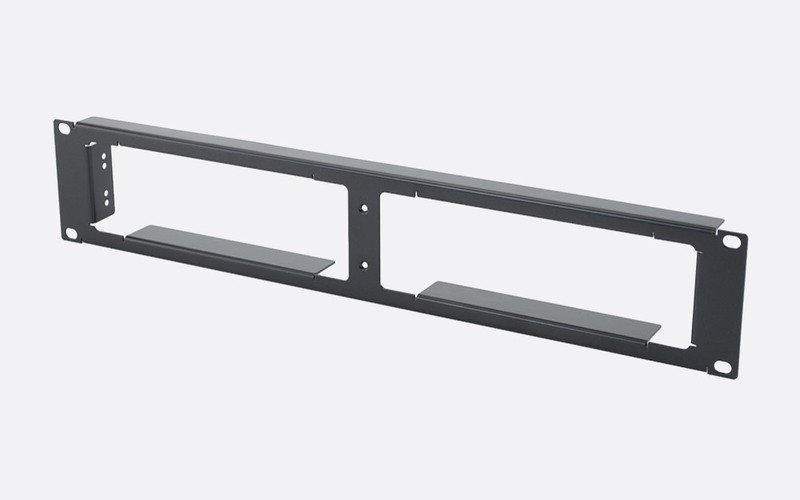 It is for use in perimeter or phased-array configurations in smaller rooms, such as meeting rooms, classrooms and reception and waiting areas. Four inputs, two microphone and two line level, are by way of 3-pin Euroblock (Phoenix style, detachable terminal block) connector while a 2-pin connector can be used for a 100V line input. The two microphone inputs can be used balanced or unbalanced depending on wiring; a miniature (DIP) switch selects 12V or 5V phantom power. Input gain control and high frequency compensation can be adjusted via dedicated and recessed screwdriver-operated controls. Automatic gain control with a dynamic range of 40dB typical, an attack time of 10mS, and a release time of 500mS can be applied, with LEDs indicating 'Level Good'. Miniature (DIP) switches control the phased array, perimeter A or B, perimeter A+B output configurations; LEDs provide valuable feedback on output status, fault detection and power. Dimensions: 99 x 200 x 40 (HxWxD) mm. Weight: 1.5kg. 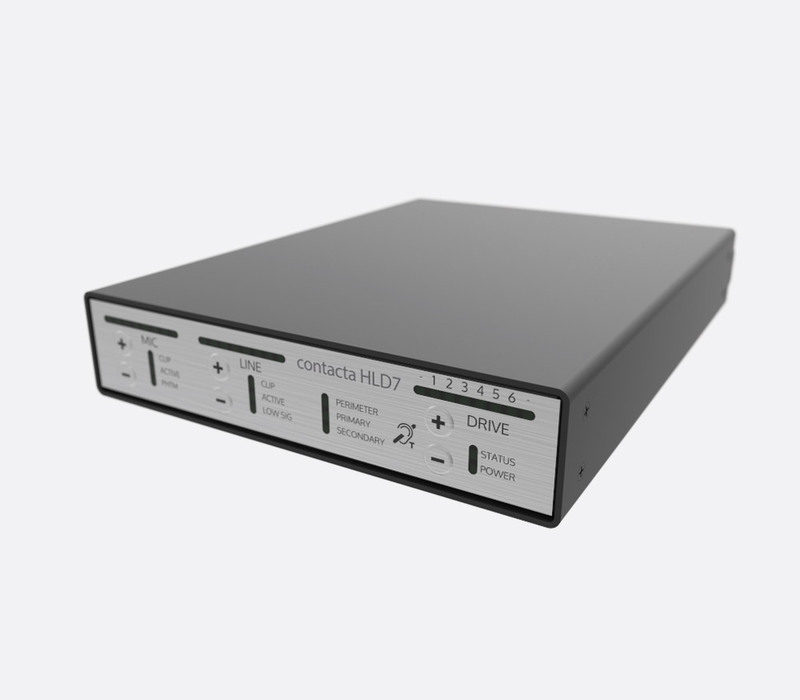 This single output hearing loop driver is housed in a 1U, half rack-width' aluminium case. 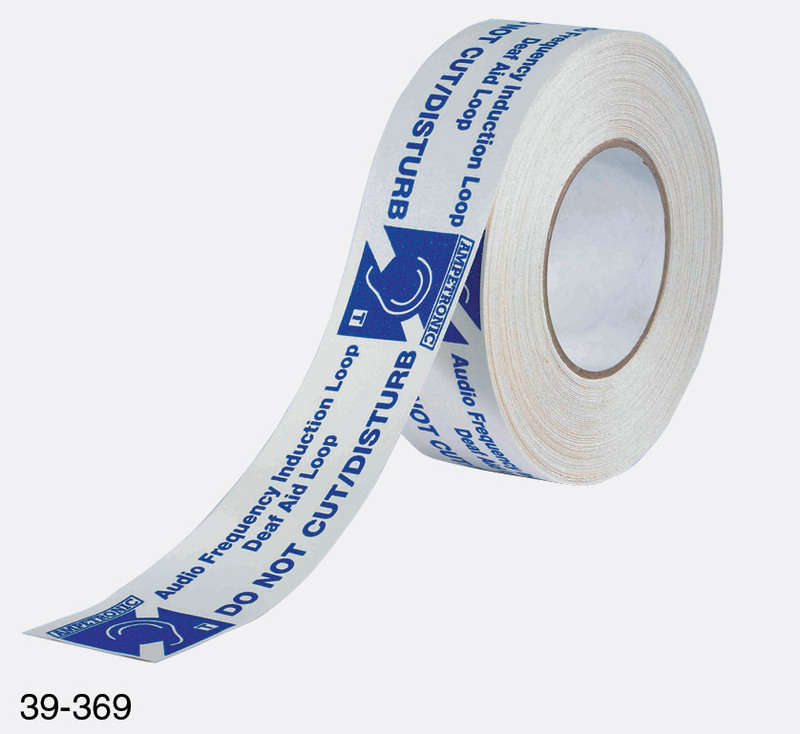 It is designed for use in medium sized venues such as lecture halls, small theatres, and places of worship. A single HLD7 can be used to provide a perimeter loop system, or two HLD7 amplifiers linked by a RJ45 cable from the 'Expansion' socket provide a phased array configuration. The front panel features all mode and level adjustment controls in the way of '+' and '-' press buttons. Both microphone and line inputs have LED bar-graphs to display the level; a third LED bar graph displays the drive (output) level for the amplifier. Three individual LEDs for the microphone channel indicate 'clip', 'active' (signal detected), and 'PHTM' (12VDC phantom power). Three individual LEDs for the LINE level input indicate 'clip', 'active', and 'LOW SIG' (low signal detected). Two final LED sections display perimeter/primary/secondary configuration, and power/status. The rear panel houses all I/O connectivity including the 24V DC power input (a 2.1mm 'DC jack') and 'MIC' and 'LINE' inputs on balanced XLR and 6.3mm jack combination connectors. 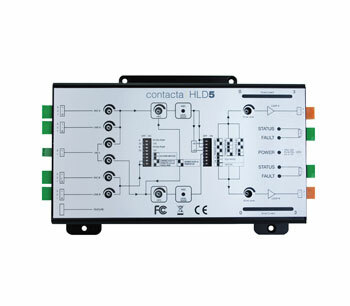 A loop output connector via 4-pole speakON connector provides an output voltage of 15V RMS with a current of 6A RMS. A 3-pin, voltage-free, SPCO (single pole change over) relay connection is provided for external compatible equipment. A toggle push- switch enables/disables 12V DC phantom power. Dimensions: 44.5 x 200 x 260 (HxWxD) mm, 1U height. Weight: 2.5kg. 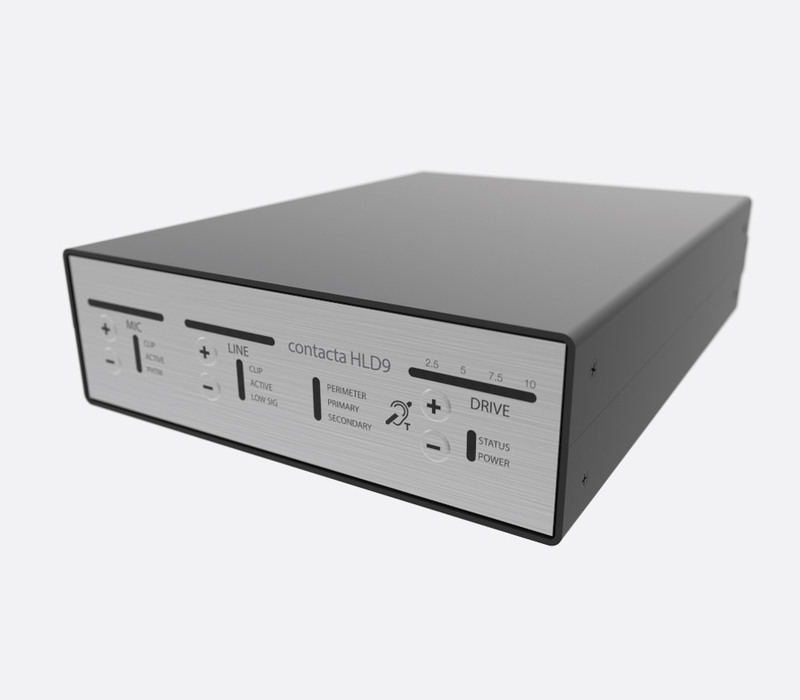 The HLD9 hearing loop driver has been designed for larger venues such as theatres, conference facilities, concert halls, and sports arenas whereby a single HLD9 can be configured to provide a perimeter loop system, or two HLDs can be linked to provide a phased array system. Provides 36V RMS and 10A RMS. All panel controls on the front panel are as the HLD7. Connectivity on the rear panel is similar to the HLD7, with the exception of the power inlet which is an AC IEC inlet.